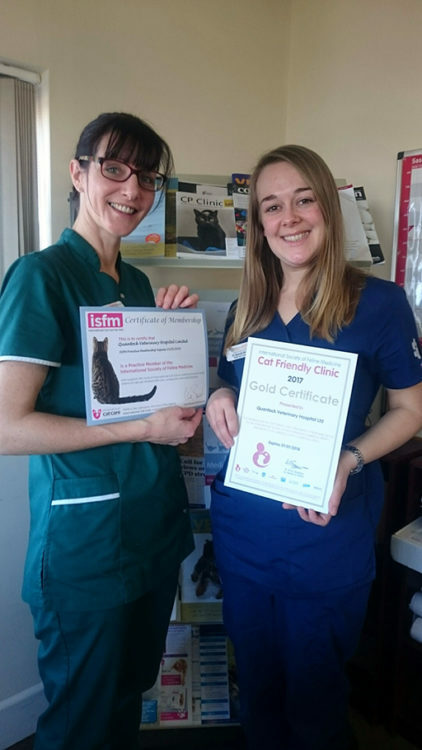 The team at Quantock Veterinary Hospital were very pleased to be awarded, again, the very highest standard International Cat Care ‘Gold Clinic’ award. As we know, taking a cat to a veterinary clinic can be very stressful, both for the cat and also the owner. The Cat Friendly Clinic programme is designed to help address these issues by creating more cat friendly veterinary clinics and so reducing the stress for the cat, and making veterinary visits easier for cat owners as well. 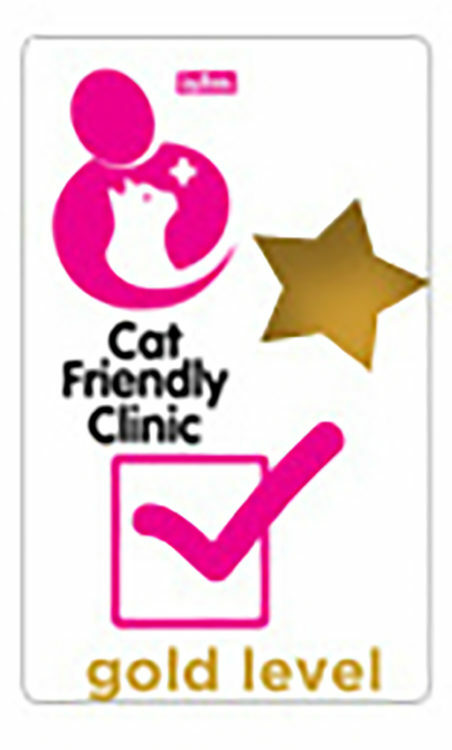 ‘Cat Friendly Clinic’ is a worldwide programme from the International Society of Feline Medicine, the veterinary division of International Cat Care. We are so pleased to be awarded their very highest standard, ‘Gold Clinic’ award again this year. There’s a lot more we cover to secure our Gold status. We’re very pleased to have it recognised. If you’d like to know more, please do ask one of our staff.